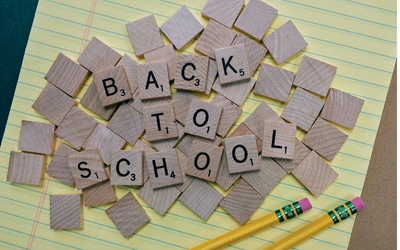 It seems like summer has only just started, yet it’s almost time for back to school! Back to school supplies are flying off the shelves as families prepare for the new school year. Whether you’re a full-time student yourself, a parent to school-age children, or completing courses while working, the relaxed summer schedule goes out the window when it’s time to go back to school! While working out your school year plans, don’t forget about the furry members of your family that will be left at home after the school bus departs – back to school is an adjustment for them too! It’s easy to overlook your pets when your days are filled with early departures for school, carpooling, late returns from after-school activities, and nights filled with homework. Here are some back to school pet tips that will not only take care of your pet’s needs, but also allow you to enjoy the precious time you spend together. Start your day with a loving greeting with your furry friend. It only takes a minute to give your pet a quick hug or stroke, and it will help you both start the day off on the right foot. Set the alarm clock 15 minutes early so you have time to take your dog for an early morning walk. This allows your dog – and you – to get some fresh air and exercise. It’s a great way to start the day for both of you and allows for some quiet time before the hustle and bustle of the day begins! Enjoy breakfast together. When you and your family sit down to eat breakfast, feed your pet at the same time. Chat to your pet while you prepare lunches for school or work. Encourage your kids to play fetch with your dog or play chase/pounce games with your cat while you are busy making lunches. This is one way to keep everyone “busy” while you are preoccupied with morning tasks! Don’t make a big deal of leaving as you scramble out to the bus stop or car. Extended departures can increase separation anxiety. Instead, encourage your family to give your pet a quick, friendly “See you later!” without prolonging the goodbye. Consider giving your pet a toy filled with kibble or treats to encourage some interactive play while you are getting ready to leave and heading out the door – especially for those pets that become distressed when everyone leaves. This will distract your pet and provide him with some entertainment while you are out. When you return home, take your dog for a longer walk. This will help you wind down from the busy school or work day while providing your pet with some much-needed exercise. Chat to your dog while you’re walking him and praise him. Bring the kids along for a family adventure! Let your pet rest beside you or your children during homework. Any contact with you is good for your pet, even if you’re focused on the times tables instead of him. Set aside some time to play. When you are done with homework, after-school activities, and meal preparation, how about a little play time while dinner is cooking? You both deserve some fun every day! A night-time stroll is a great way to end the day. A quick outing before bedtime will help settle both of you down for the night and prepare you for a restful sleep. Be sure to include all members of your family in caring for your pets as you head into the school year! Assigning everyone with a task – whether it be feeding, refreshing the water bowl, or playing – makes the back to school transition easier for everyone!